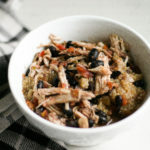 Instant Pot Salsa Chicken Quinoa Bowl - Jenuine Home - Interior design, decor, diy for your home and Instant Pot Creations for your tummy. It’s the same problem I have every day when it comes to cooking meals. 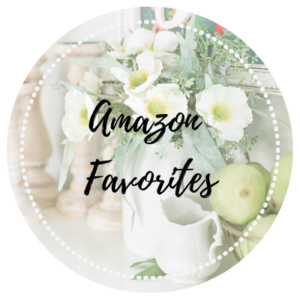 What can I cook fast with the least hassle and that everyone will enjoy? Bonus when I also have all ingredients on hand and not have to run to the store. This instant pot salsa chicken quinoa bowl fits all of these requirements. Easy, fast dinners that are healthy are my jam! This gluten free meal was happily devoured by my kids as they were asking for seconds. Doesn’t dirty a million dishes to prepare. Food that all of my family will eat and enjoy. When this happens, it’s a miracle. As hands-free cooking as I can get. The Instant Pot makes hands-free cooking possible. 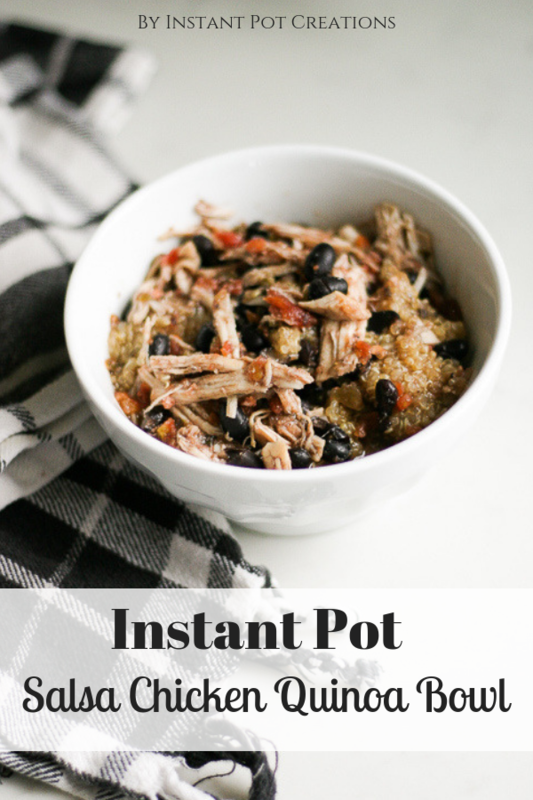 We like to use our favorite Instant Pot Black Bean recipe because they are packed with such an amazing flavor. We love to eat them on everything or by themselves with chips because they are that good. 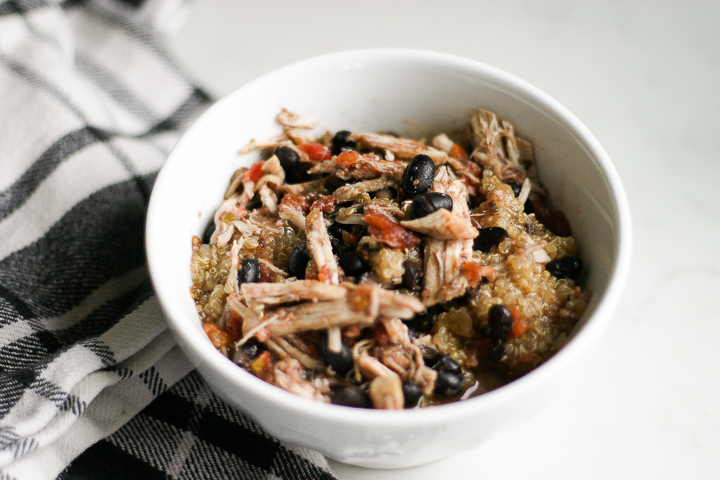 However, in a pinch, you can also use canned black beans in this instant pot salsa chicken quinoa bowl. If you have two Instant Pots, then cook the quinoa at the same time as the chicken. If using only one Instant Pot, then make the quinoa first. Then remove quinoa from pot into a bowl and cover to keep warm. Wash out pot and then cook chicken in the Instant Pot. Using a fine mesh strainer, rinse and drain the quinoa. Add quinoa, water (or stock) and salt to the Instant Pot. Close lid and turn knob to sealing. Cook on high pressure for 1 minute followed by a 10 minute natural pressure release. Release any remaining pressure afterwards. Place frozen chicken breasts in Instant Pot. Pour salsa over the top of chicken. Close lid and turn knob to sealing. Pressure cook on high for 20 minutes with a full natural pressure release after cook time is over. Open lid and shred chicken while in the pot (it prevents drying out the chicken). Push saute mode and add black beans (add green chiles and cumin if using canned beans). Cook until beans are heated through. Serve quinoa in the bottom of a bowl with salsa chicken over the top. Use this black bean recipe. Or use 15 oz can, drained, rinsed. If using canned beans, also add 1 tsp cumin and 4 oz can diced green chiles.